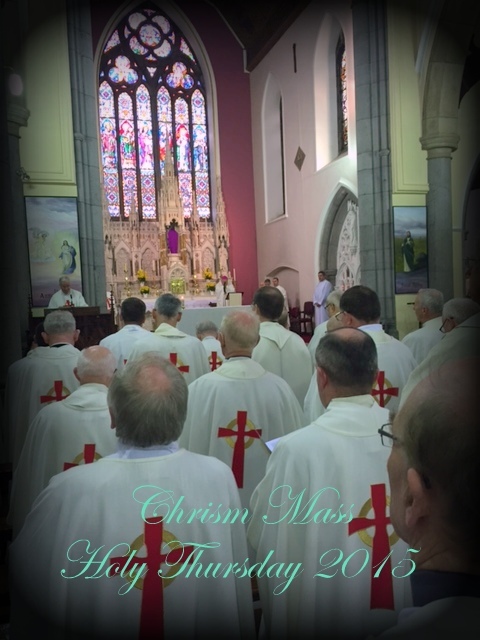 On Sunday, October 9th 2016, Bishop Brendan was Principal Celebrant at Mass in Kiltimagh. 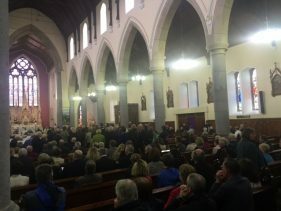 The Mass was one of thanksgiving and farewell for the Sisters of St Louis, whose long link with Kiltimagh has come to an end. Below is the text of the homily preached by Bishop Brendan on this sad but memorable occasion for the parish and the Sisters of St Louis. Go mbeannaí Dia dhaoibh a phobail dílis Dé Choillte Mách. Is maith bheith libh inniu ar an ócaid buíoch, brónach, stairiúil seo: Slán le Siúracha Naomh Lughaidh. I’m happy to be with you today for this Mass of Thanksgiving for the immense, immeasurable and irreplaceable contribution of the Sisters of St Louis to this parish and its people over one hundred and nineteen years. 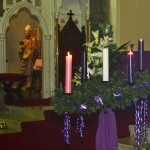 Our theme can only be thanksgiving, but it is tinged with a deep sense of sadness. 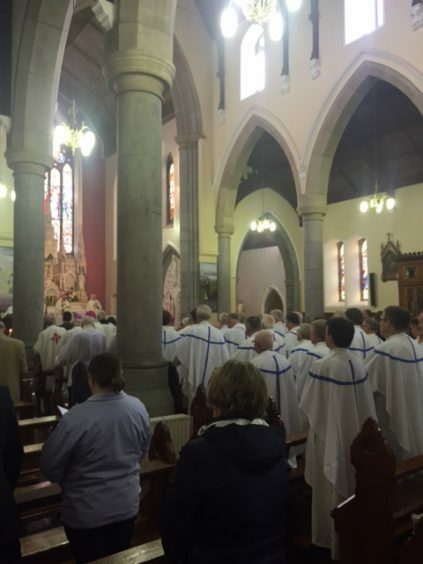 The loss of a praying community, consecrated to God and to the welfare of his people, particularly the most needy, that loss to this parish and to the entire diocese is a great one. That is exactly what we are doing here today in this Mass, metaphorically: throwing ourselves at the feet of Jesus and thanking him for 119 years of the dedicated service and faithful presence of the Sisters of St Louis in our midst, as parish and diocese. In doing so we throw ourselves too at your feet, sisters, in deep gratitude to you and all those St Louis Sisters who have served here all the way back to the arrival here of the first six sisters on the 14th of September, 1897. The person responsible for what a newspaper of the day called ‘the home-bringing’ of the nuns to Kiltimagh was the great Fr Denis O Hara. 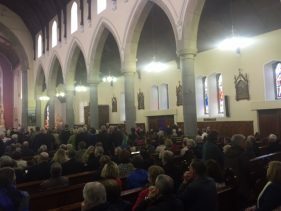 The paper goes on to report that the ‘good nuns of St Louis’ arrived ‘amid the prayers and blessings of priests and people’…referring to the crowd that had gathered at the station to greet the sisters and accompany them to the new convent Fr Denis had had built for them. 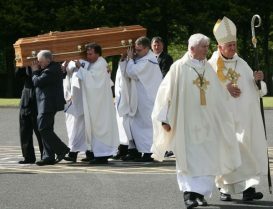 Today, the prayers and blessings of priests and people now accompany the final departure of the nuns, though these prayers and blessings are accompanied now more with sadness than celebration. Today is October 9th, the feast of St Denis, when the girls in the St Louis Secondary school always got a free day. 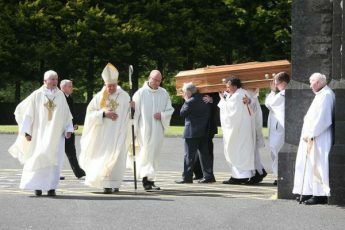 Such was the respect in which Fr Denis was always held and remembered by the sisters. I like to think that it’s no mere coincidence that we happen to be giving thanks to God for the sisters on this day. It is most surely the hand of Providence giving us a sign. What is happening now in October 2016 regarding the sisters and this parish is all part of God’s providential design. May we be able to discern truly its meaning for this parish and for the sisters in this year of Our Lord, 2016. That calls for deep faith and trust in the eternal wisdom and goodness of God towards us. Around the time Fr Denis came here in 1887 as PP, a newspaper of the day described Kiltimagh as a ‘ruined hamlet of thatched hovels’. Fr Denis immediately set about improving the lot of the people. Within two years of his arrival, this magnificent Church was built and consecrated. By the time he convinced the Sisters of St Louis in Monaghan to come here in 1897 and provide education for girls, Fr Denis had been instrumental in establishing six primary schools in the parish, bringing the railway to Kiltimagh, in forcing landlords to lower rents. He was a steadfast in his support of Michael Davitt and the Land League, for the sake of the impoverished tenants. But no project was dearer to this good man’s heart than convincing the St Louis sisters in Monaghan to come here. 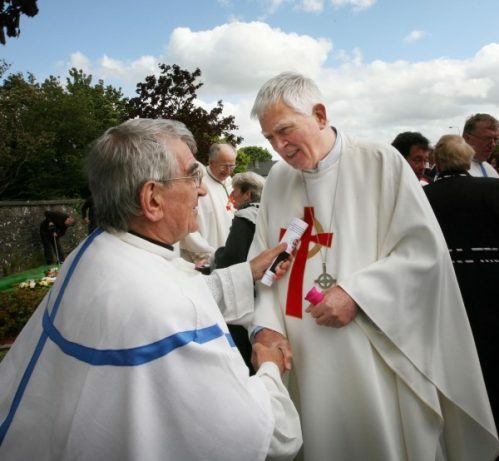 Fr Denis could see the value of an education for the local women and girls as part of his great dream of lifting the people here out of poverty, giving new hope and creating new opportunities for them, thus enabling them to cope and contribute confidently to building of family, community and society, be that at home or as emigrants, for emigration was the destiny of many from these parts. Fr Denis chose well. Over the subsequent years, the sisters took charge first of the new girls primary school, then established the Technical school for women and girls, where practical skills – dressmaking, laundry, poultry-keeping and finer arts like lace-making were taught. Within 4 weeks of its opening, 80 girls and women were enrolled. The sisters travelled all around the area on foot encouraging and inviting the young ladies of the area to come. 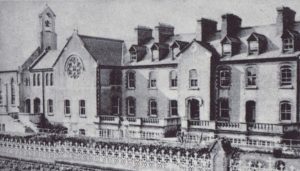 Then St Philomena’s boarding school was established, and soon acquired a reputation for excellence in education that was nation-wide. Later on in the 30’s a highly successful commercial school was established. Along with all of that the sisters were discreetly and always available to help people in their need and poverty, in whatever way they could. It’s an extraordinary story of extraordinary achievement that must not be forgotten. It arouses a deep sense of admiration but most of all of gratitude in any decent heart. Such stories need telling and remembering in these days when a sense of unearned entitlement so often takes all the space and the capacity for generosity, service, self-sacrifice is not awakened and called forth in men and women. The question for us all now is how can these qualities, so evident in the story of the sisters of St Louis be enkindled and ignited in this generation? This is where a new evangelisation, a new connecting with the greatest story of hope ever lived, the story of Jesus, is called for. 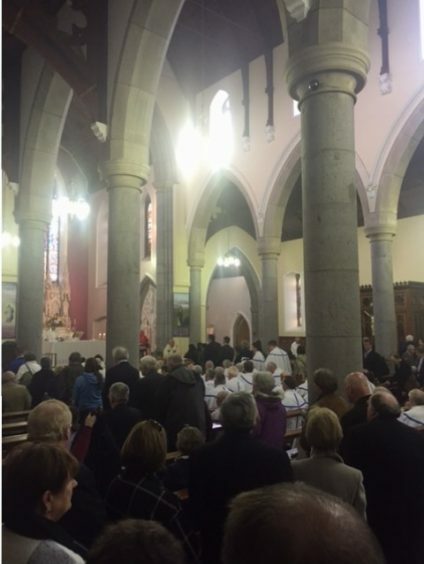 For it was out of faith in Jesus, and joyful intimacy with his word and way that the story and the contribution of the Sisters of St Louis in Kiltimagh was born and sustained over so many decades. The changes that occurred from the 1960’s on – the government more and more taking responsibility for education and social welfare, free education, growing material prosperity, the opening up to the world that came with television, cheaper transport etc., saw the sisters adjusting – coeducation, decline in need for Boarding schools etc. Eventually the amalgamation with Scoil Raftearaí took place and the St Louis Community School was born. Vocations to the sisterhood declined and gradually the sisters withdrew, quietly and without fanfare or fuss, as always accepting the new and emerging reality as part of God’s mysterious plan. And so we come to this day. This moment of Farewell. 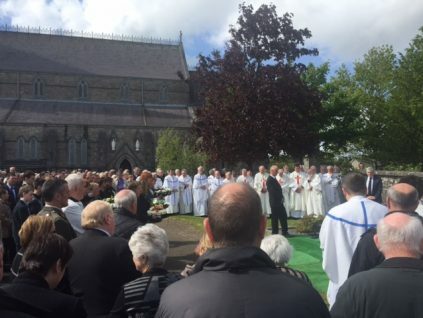 I’d like to quote what one of the sisters has written: ‘The sisters have given much, but they received much too in this community of Kiltimagh. 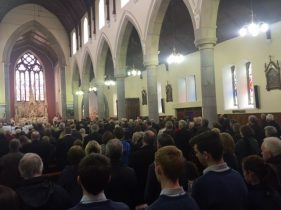 It has been their home and a place of friendships, kindnesses, support, being church together and part of a community, especially in these latter years in Cordarragh. 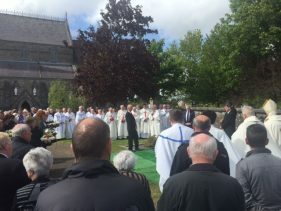 Many sisters are buried here, both in the former convent cemetery and in Kilkenure in the past 20 years.’ In other words, they are part forever of the story of this parish and community and for that are deeply grateful. 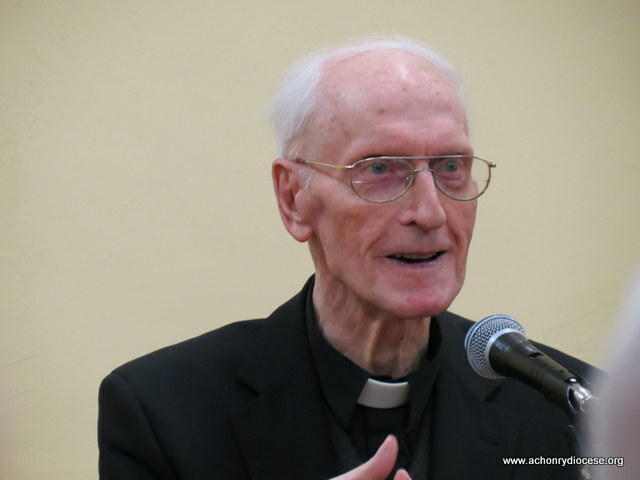 The story of the sisters here is one, like that of Fr Denis O Hara who brought them here, of building and serving the great ideal and command of Jesus: be community, not just individual. 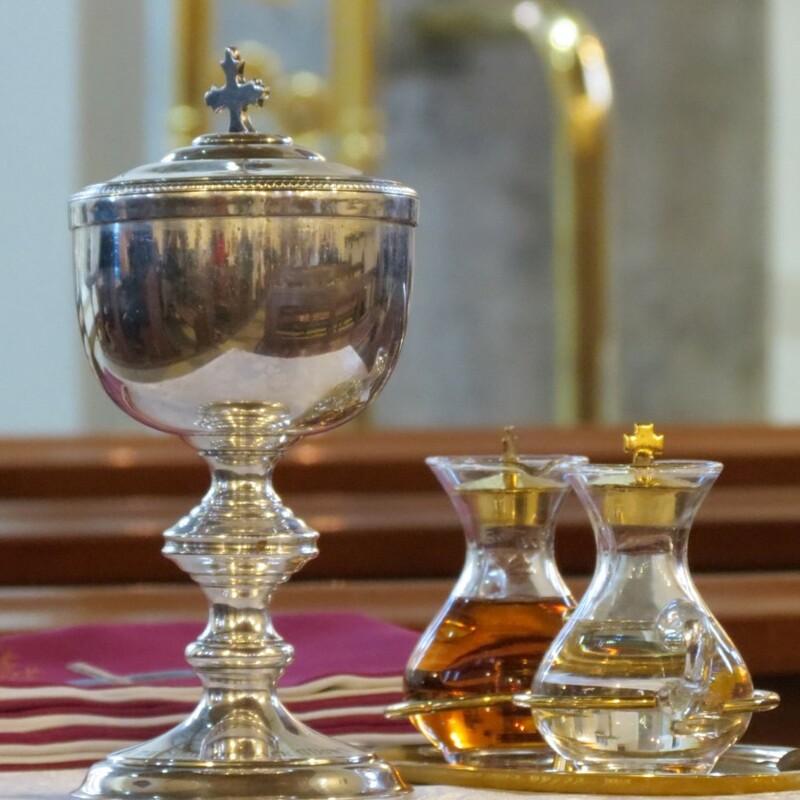 Build communion, that most holy thing. Servants of unity…of what Jesus prayed for at the very end: that they may all be one. The wisdom of God lives in lives that are faithful to his word: that is how that unity, that communion, is formed and grows. These were the values set in place by the founders of the St Louis story in France one hundred years exactly – 1797- before they came to Kiltimagh. AS we look back today, sisters, over your presence here for 119 years, we see how faithfully you carried out and lived your founding ideals. Our hearts are full of gratitude then at this Mass as we remember, and we give God thanks for you. And as we pray his blessing on each and every one of you. 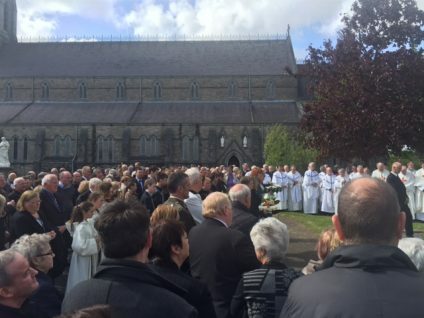 This community, this parish, this diocese will not forget. The Samaritan leper came back, we are told today. Crying out the praise of God, threw himself at the feet of Jesus, and thanked him. So do we thank God and thank you as we now celebrate this Holy Eucharist. 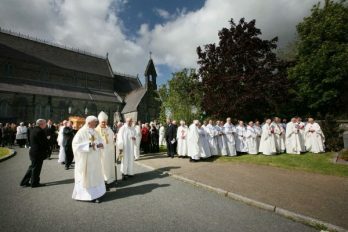 The Achonry and Killala annual joint diocesan pilgrimage to Lourdes began on 23 August. 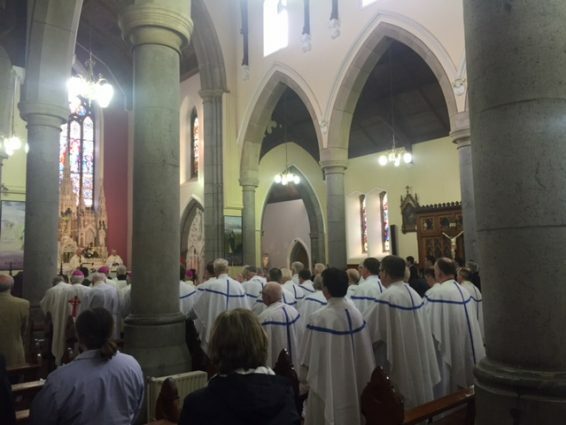 This pilgrimage is the 42nd annual joint pilgrimage to Lourdes between the dioceses of Achonry and Killala and it will last five days, from 23 August until Sunday 28 August. 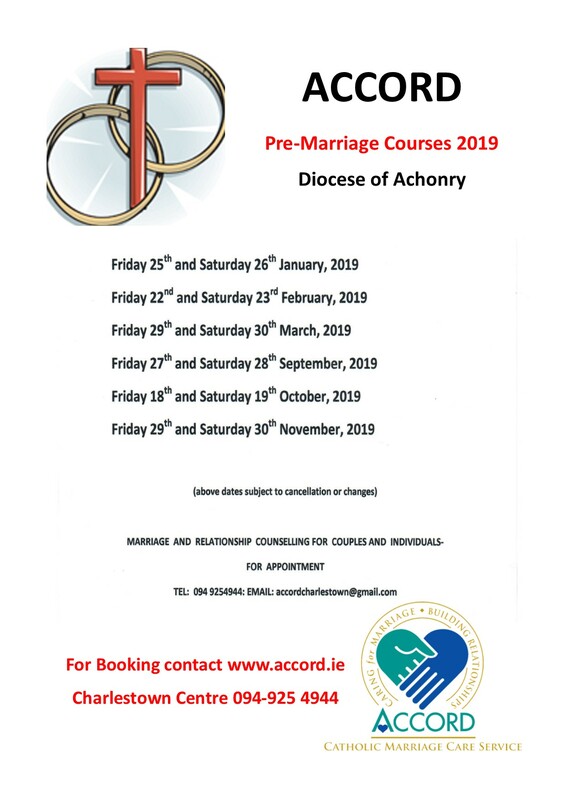 This year’s pilgrimage will be led by Bishop John Fleming, Bishop of Killala and by Bishop Brendan Kelly, Bishop of Achonry. 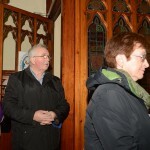 Spiritual Directors for the pilgrimage are Father Tom Doherty, Killala Diocese, and Father John Maloney, Achonry Diocese. 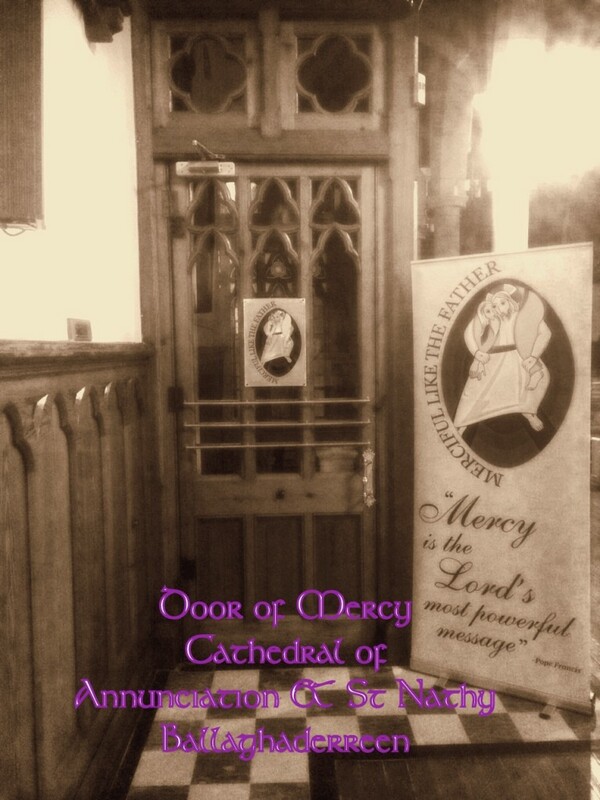 In this Jubilee Year of Mercy, all pilgrims to Lourdes will have the special opportunity to enter through the Door of Mercy which is located at Saint Michael’s gate, near the Breton Cross in the Sanctuary of our Lady of Lourdes. 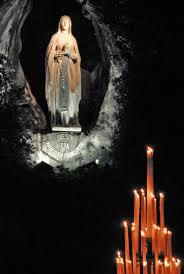 Pilgrims from both dioceses departed today from Ireland West Airport Knock to Lourdes, the small market town lying in the foothills of the Pyrenees which rose to prominence in 1858 due to the Marian apparitions seen by Bernadette Soubirous, who was later canonized. Today, Lourdes hosts around six million visitors every year from all corners of the world. This constant stream of pilgrims and tourists transformed quiet Lourdes into the second most important centre of tourism in France, second only to Paris, and the third most important site of international Catholic pilgrimage after Rome and the Holy Land. In the end, to have followed Jesus is the only thing that matters. 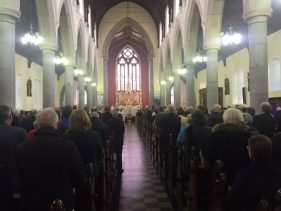 Thomas Flynn, born on 8 July 1931, was brought as a new-born infant by his parents to be baptised in this historic Cathedral four days later on 12 July, 1931. So that he would know and follow Jesus. Ordained a priest of the diocese on 17 June 1956, he was ordained a bishop twenty-one years later on 20 February 1977, at the age of forty-six. All of this in response to the continuing call of that same Master. 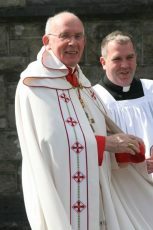 Though he retired officially on 20 November 2007, he continued to administer the diocese until I was ordained on 27 January 2008. So he had been chief shepherd of this diocese for thirty years and eleven months. It was, like that of his two immediate predecessors, a long tenure. 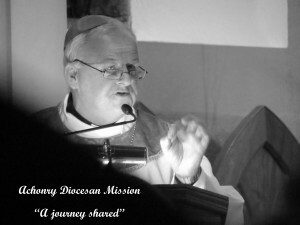 Despite the fact that his years as chief pastor of this diocese were not always the easiest, Bishop Tom always said that he had enjoyed being a bishop. He was not a man to complain. He followed Jesus. The Gospel we have just heard provides us with an opportunity to reflect on what it is to be a good shepherd, and it is instructive for all of us in whatever shepherding role we find ourselves: parent, adult, priest, or bishop. Indeed it’s a wonderful passage for any person, who wants to follow Jesus in any capacity, to ponder. It has a certain climactic quality since it is the story of Jesus’ final appearance after The Resurrection. The context of the story is wonderful. It is so simple and so ordinary. These men who had followed Him and walked the roads with Him are back doing what they had left doing, back to their old occupations – fishermen again, for fish. And up all night at it, as happens, a futile exercise apparently on this particular occasion. And then with first light, there’s a Person on the shore calling out “have you caught anything, friends?” To their answer “no” He responds, “throw the net out to starboard and you’ll find something.” They take Him at his word. And futility gives way to abundant fruitfulness. Their seeming naïve obedience to the seeming Stranger on the shore was their best move ever. We are reminded of Mary at Cana to the servants at the wedding feast “Do whatever he tells you,” her last words in the Gospel – her final word for us all. 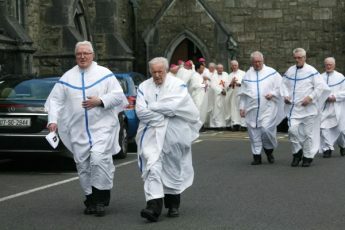 A willingness and a wanting to do ‘whatever he asks you’ – this is at the basis of every priestly vocation, and indeed of every baptismal vocation. It is the beginning of ‘following’ Jesus, of discipleship and apostleship, and it is the end, too. The alpha and omega of the Christian life. Child-like naiveté, not sophistication, makes the disciple. And then there is that invitation: “Come and have breakfast,” Jesus said. The good shepherd feeds His flock. They are nourished at His table. The table at which He feeds us with His own self, bread of life. Service and self-sacrifice. Service to the point of self-sacrifice. Remembering Bishop Tom, disciple and shepherd, we can do no better than allow ourselves to be fed at the table of Jesus, our friend and our shepherd … to listen to His Word, take it to heart and show it in our lives. As we are doing now. Loveliest of all – and costliest – we have the third scene: “Simon, Son of John, do you love me?” It seems Jesus needs to know, to hear our answer, over and over … No wonder Peter is disconcerted, upset. We expect God to do the loving, to tend to us … We ask and pray continuously… But the mystery is He needs my love too, and yours … incessantly. As does His world and His people … and the implications of all of that will never cease unfolding … even to the point of taking us to ‘where we would rather not go’. 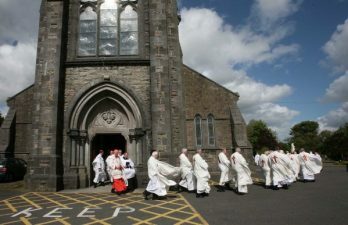 Apart from the first six years of his priesthood in Tubbercurry, Bishop Tom spent his entire life here in his native Ballaghaderreen parish. From the beginning he was a teacher, and a very good one by all accounts. The word most often used by people was kind. Quiet in disposition, and very discreet, a man of few words. 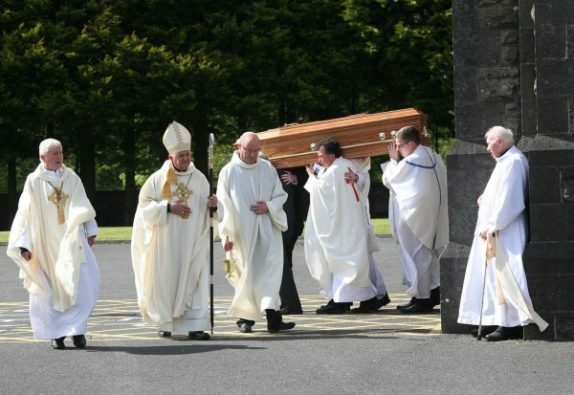 As president of Saint Nathy’s, he was a reformer and moderniser, a process advanced in firm co-operation with him by his successor, Father Andy Johnston, who passed away as it turned out on the very same day as Bishop Tom, last Tuesday. 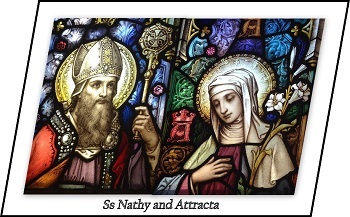 At a time when school amalgamations were seen as the way to go, for wider curriculum and choice purposes, Bishop Tom and Father Andy insisted that the voluntary and Catholic status of the united Saint Nathy’s here in Ballaghaderreen was the way forward. 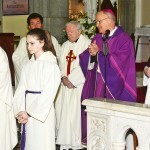 Person-centred education, the hallmark always of the Catholic system, was a passion for Bishop Tom. On this he was very clear. 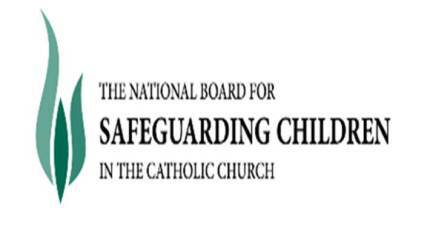 Nationally, he was at the helm for many years of matters educational as chairman of the Bishops’ Council for Education, including at the time of the negotiations around what became the Education Act of 1998. Visiting the schools in the diocese and staying in touch with the young was a priority for him, something he instilled by example in the priests of the diocese too. 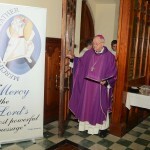 At the national level, he was a member for many years also of the Bishops’ Council for the Laity. 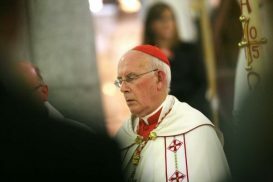 Leading the diocese in the immediate aftermath of the Second Vatican Council, he worked determinedly in the area of adult faith development too. 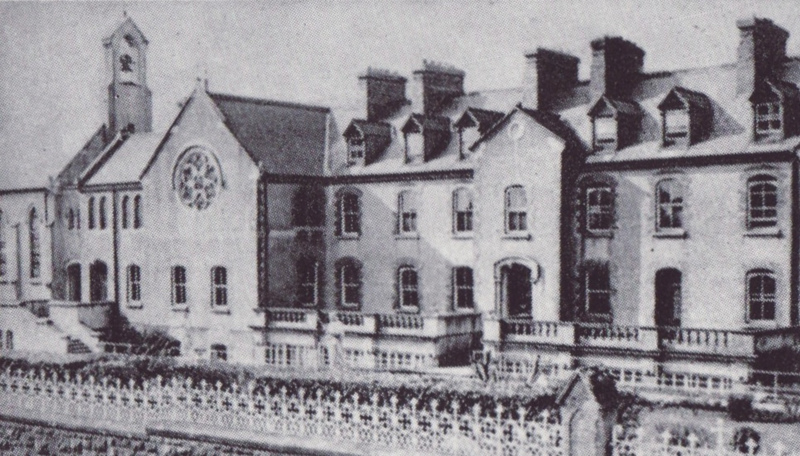 He established the pastoral centre at Charlestown, and also the centre at Banada; he encouraged the development of the Father Peyton Centre at Attymass and was particularly involved in his latter years with the Sisters of Mercy in the development of the Hope House Centre for addiction treatment in Foxford. And it is to Bishop Tom that we owe the fact that we have the finest history of the diocese in Father Liam Swords’ four volumes. A deeply spiritual and wise pastor, Bishop Tom instinctively understood that there can be no healthy growth or nourishment in the present if we do not know or are attentive to our roots … and this rings true whether as a people or as a Church. “Yes, Lord, you know I love you” Peter replied, and in his own way, at the age of eighteen, the young Tom Flynn made that simple profession of faith too. For life, as a priest. Again and again, he was called on to remake it. 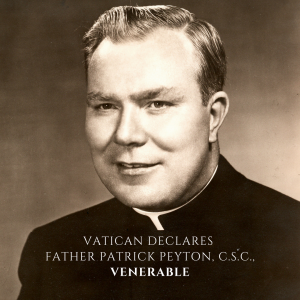 At his priestly ordination in 1956. Again as a new bishop in 1977. I think we can confidently say that he responded as best he could to the commission of his Master: ‘Feed my sheep’ in those demanding active years, when we are called to reach certain heights, perhaps, as the world sees it. Time when we are able to ‘fasten our own belts and walk where we like’. ‘After this, Jesus said: Follow me’. ‘Unless you become like little children…’. The shepherd, becoming again the Lamb, trustingly…as with the Master Jesus, it is all that matters. 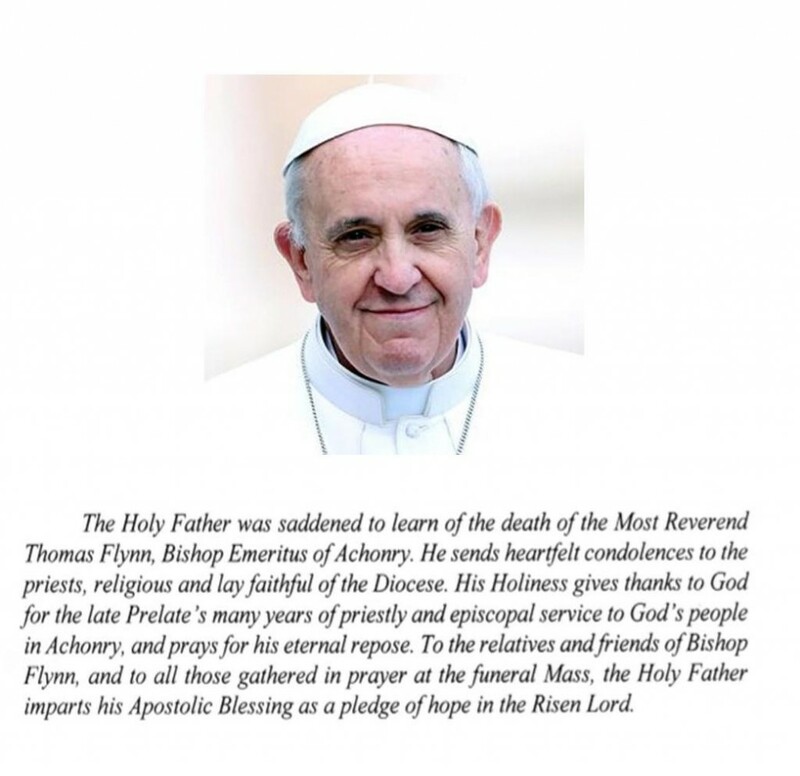 As we thank God today for Bishop Thomas Flynn, we entrust him with faith and love to His great mercy. Faoi shuain lena Mháistir dílis and lena mhuintir imithe roimhe go raibh an tEaspag Tomás anois sna Flaithis. Amen.